The Neonatal Unit is one of two Neonatal Intensive Care Units (NICU) in Lancashire and South Cumbria providing 24 hour inpatient services for Neonatal Intensive Care (NICU), high dependency (HDU) and special care (SCBU) infants born at any stage during the pregnancy (gestation). 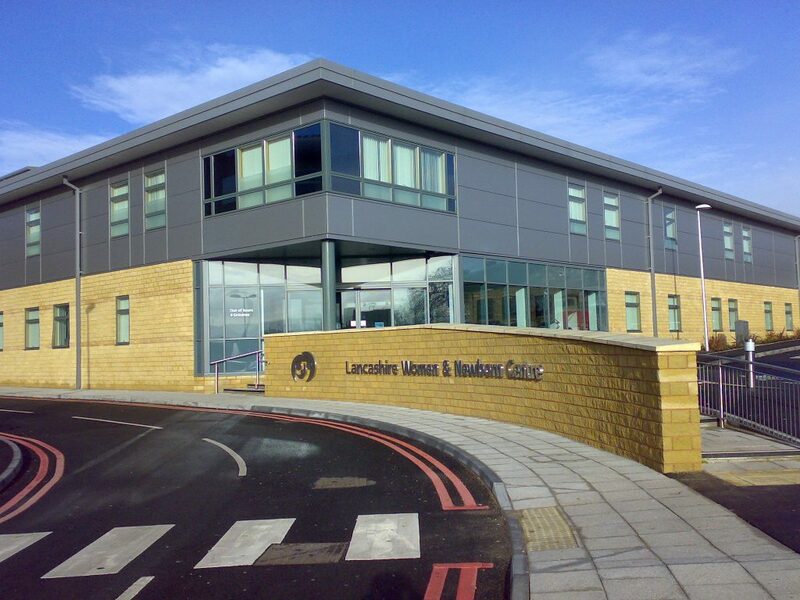 The Neonatal Unit is in the Lancashire Women and Newborn Centre (LWNC) on the site of Burnley General Hospital in East Lancashire. This Unit (opened in 2011) is a purpose built, state of the art build, designed to the highest specifications in line with standards set by the British Association of Perinatal Medicine (BAPM). Free Shuttle bus service from Royal Blackburn and regular train service from Blackburn and Burnley Train station. Limited free parking for parents, and parking fee reduction – £3.60 per day 3 tickets, consecutive gives 4 days free. Other visitor accompanied by parent 14:00-1500; 18.30 -1930. The unit however is flexible around the individual needs of the family. Two overnight bedrooms with bathroom facilities for parents with distance travelling needs. We have an Infant feeding support lactation Consultant. ‘Welcome to NICU’ admission pack to support parent stay, what to expect on the unit, including financial support and sign posting to BLISS charity. Bereavement specialist Midwife support and NICU bereavement team and support from the Trust’s chaplaincy service. Transitional care team for ongoing care from the NICU to the postnatal/transitional care ward. Dedicated safeguarding link to the unit. The unit provides a specialised Community outreach team, The team along with our health care assistants provides support on the Unit assisting with the transition home, and follow up care in the community. This ensures a smooth transition from the hospital setting to home. Water Dispenser in parent area. microwave in the parent area. Hospital Restaurant open breakfast, lunch and Teatime, reasonably priced. WH Smith’s shop within the hospital grounds. Tesco Express very close to the Newborn Centre. The ‘rooming in’ parent is provided with Hospital meals. The maternity service in East Lancashire is one of the largest in the Northwest and was awarded ‘Maternity service of the Year’ in 2016.